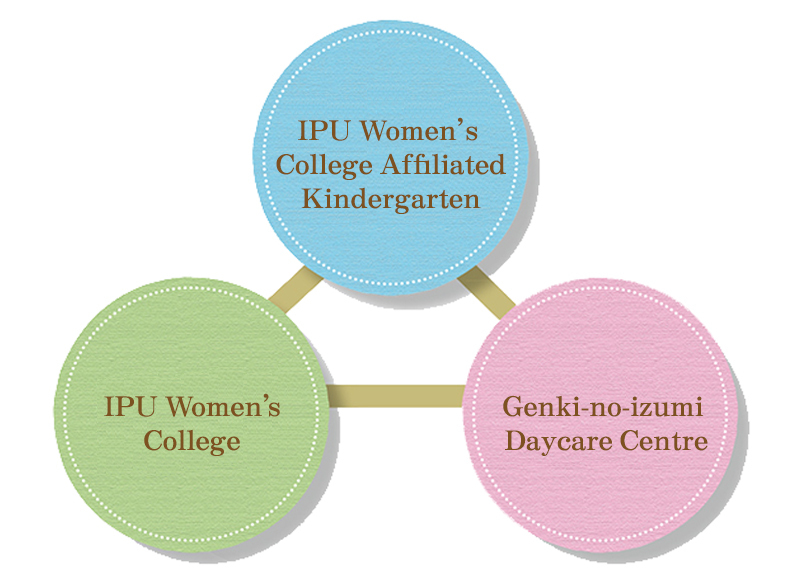 Our kindergarten and preschool centre are located on the campus of IPU Women’s College. 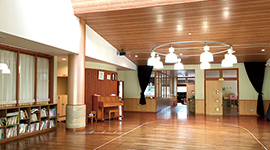 College students and staff are regularly involved in our activities, contributing to the creation of an ideal learning environment for our children. We are introducing new initiatives, including after-school student care and a childcare consultancy to promote collaboration between our preschool centres and the college. We also work with students' families at such events as annual school festivals, involving members of the wider community. Preschool centres provide an opportunity for children to experience society outside their families. 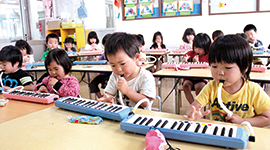 While interacting and playing with their teachers and peers, they learn how to communicate and work with others. We aim to facilitate collaboration among preschool centres, families and local communities so that we can develop young children who possess open-mindedness, aspiration, independence and initiative.